Recently, I wrote a post about how to begin a book project by performing a competitive analysis. Writers typically make this type of an evaluation as part of a book’s business plan. Doing this in the conception phase of a project, however, helps develop a unique and necessary book idea or story, which means one that is highly marketable. After reading the post, someone commented that the best way to write a book that sells involves writing with authenticity as well as creativity. That’s true, but it isn’t always enough. And, in truth, you can do both: write a creative book that takes a business approach. 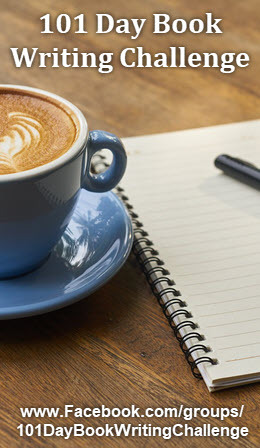 If you tend to write when you are inspired, or from a sense of soul purpose, or simply because the creative urge takes over, the idea of creating a business plan for your book, and doing so before you even begin writing, probably feels like a huge turn off to you. Yet, I bet you want to produce a successful book—one that sells a lot of copies or becomes a bestseller. To do that, you must take into consideration that publishing is a business, the business of producing, distributing and selling books, including that book you want to write and publish. And success in the publishing industry is, indeed, gauged by book sales—above average book sales. To ensure you and your book have all these elements, you need to create a business plan for your book—the moment inspiration hits. That’s right. Do not just sit down and begin writing. (Okay, you can get the first really juicy stuff down on paper if you must!) Sit down and begin planning out the most marketable “product” you can produce. Why? To give your book the highest potential of succeeding once it hits that marketplace. You don’t want to spend months, maybe years, working on a book that sells the average 300 copies or so (or less). That’s heartbreaking. A business plan, or proposal, really just asks you eight questions. Answer them, and then evaluate your answers. It’s the evaluation that provides the tool for producing a marketable book, or viable product. So don’t just answer the questions. Evaluate the answers! What's Your Book About, and Why Would Someone Want To Read (Buy) It? Can you summarize your book, provide a pitch of 75 words or less and offer a list of five or so benefits (even for a novel)? Do you really know what you’re writing about, and is your story or subject compelling—a must have or must read? Readers want to know, “What’s in it for me?” Will they find the value they seek? How Many People Really Might Buy Your Book? Do you know if there are enough potential readers to purchase your book—a large enough market of interested buyers? And who are your ideal readers? Do they need this book or want it? Is the market large enough to justify producing the book? What's the Competition, and Is Your Idea Unique and Necessary? Can you identify 5 bestselling books on the topic and say how your book will be different, better and angled to the unmet needs of readers? How will you tell a different story? Is there a “hole” on the shelf waiting for your book to fill it? Why would readers buy your book rather than another? What's the Structure of Your Book? Have you developed a table of contents or planned out your story line in enough detail to do so? Does that structure or story make sense? Do you have enough content or enough of a story arc? If someone read the table of contents, would they be compelled to purchase the book? Does Your Book’s Content Match Your Initial Vision of Your Book? Do you know enough about your book to write a chapter-by-chapter synopsis (a summary of each chapter)? Once you’ve done this, do these summaries show that the content of your book or the story you want to tell synchs with your answer in #1? And will it help you target your market and do a better job than the competition (#2 and #3)? How Will You Brand Yourself and Earn More Money? What are your plans to write more books—series, sequels and follow ups? Do you want to build a business around your book with products and services? How do you as an author or publisher want to be known? Can you entice a publisher by showing your sense of entrepreneurship or keep your start-up publishing company afloat with your business savvy? Are You the Best Person to Write This Book…Now? Are your writing skills, author platform, credentials, or expert status at the point where they can help you succeed? When would be the best time to publish so you achieve maximum results, which means sales? Do You Make a Good Publishing Partner or Indie Publisher? Do you have a strong promotion plan that builds on a strong author platform? Are you willing to help sell books, take on marketing and promotion and generally be more than a writer? 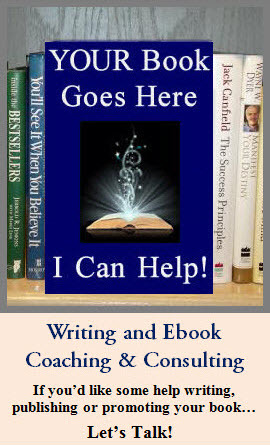 Publishers want authors who will help sell books; are you such an author? Indie publishers succeed if they promote their own books (as well as distribute them); are you willing to do this work? Once you’ve accumulated all the information necessary for a business plan, or proposal, and you’ve evaluated the material, you can use this material to tweak your idea and make it as marketable as possible. This may still feel like “all business.” Some say it takes all the fun, as well as the creativity, out of the process. It doesn’t have to. Think of it this way: Creating the most marketable book possible is a creative process. You retool, rework, remold your initial idea. You put your creativity to use in the most effective manner. You still end up writing your original idea—just with some new angles, additions, or approaches. And you make these changes prior to beginning on your manuscript. That means when you do sit down to write, invite your muse to join you, tap into your Higher Self, and connect to your soul purpose, you can write with the confidence that allows you to do so freely and easily. Your writing can still be authentic and creative, because your idea is still yours. Now, you know you will turn out a manuscript targeted to your ideal reader or market and that you feel certain will improve on anything published in its category to date. That means you will produce a book that is creative as well as marketable, a book that will touch many lives because it will sell many copies. Nina Amir, author of How to Blog a Book: Write, Publish, and Promote Your Work One Post at a Time and The Author Training Manual: Develop Marketable Ideas, Craft Books That Sell, Become the Author Publishers Want, and Self-Publish Effectively, transforms writers into inspired, successful authors, authorpreneurs and blogpreneurs. Known as the Inspiration to Creation Coach, she moves her clients from ideas to finished books as well as to careers as authors by helping them combine their passion and purpose so they create products that positively and meaningfully impact the world. A sought-after author, book, blog-to-book, and results coach, some of Nina’s clients have sold 300,000+ copies of their books, landed deals with major publishing houses and created thriving businesses around their books. She writes four blogs, self-published 12 books and founded National Nonfiction Writing Month, aka the Write Nonfiction in November Challenge. To learn more about Nina, visit www.ninaamir.com. Get a FREE 5-Day Become a Published Author Series when you click here.